You have to put in a lot of effort if you want to meet other tourists. There are some, but hidden. They hide on a small campground or in other holiday homes. They never leave the property. So do you. No need to. 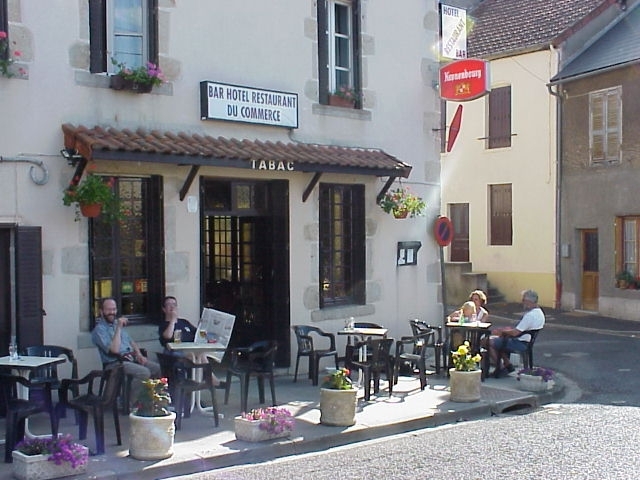 But if you can't stand the quietness any longer, you can escape to the unassuming village of St Priest des Champs (bakery, butcher, grocery, post office), to be reached by a nice walk or a 2 minute drive. The more lively St Gervais d'Auvergne is a 10 minute ride. It features a sizeable Carrefour supermarket, a pharmacy, some restaurants and bars and a bank with an ATM. 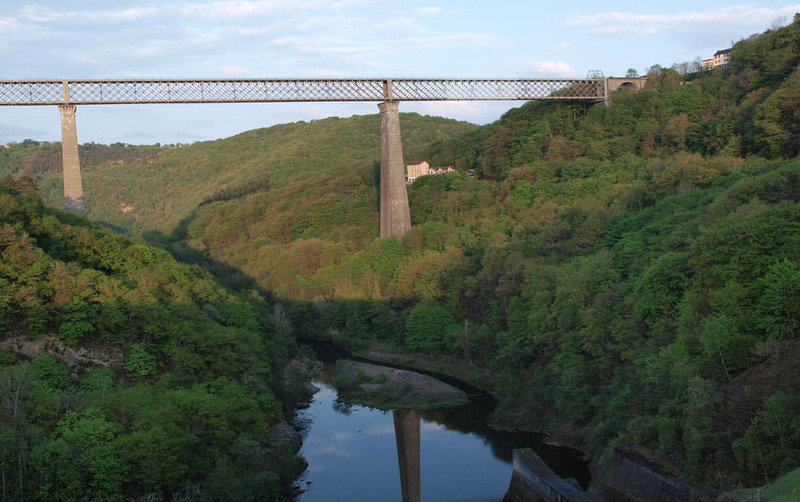 Viaduc des Fades, 8 minutes from Moulin de Laval, was the highest railway bridge in Europe for ages. It is not used any more, except bij hang-gliders. 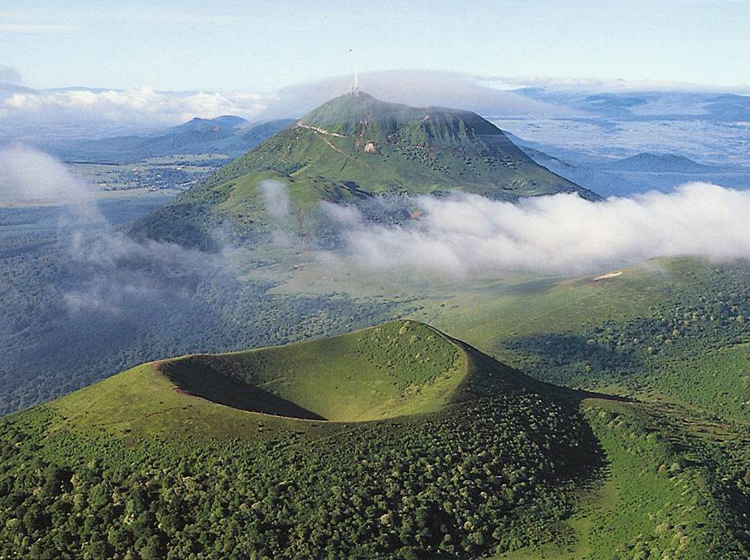 Auvergne is the area of volcanos. A one hour drive will take you to Puy de Dôme, that you can mount on foot, on a bicycle or by car. There is a Volcano Park and children will love to visit Vulcania. Around the moulin you can take wonderful long walks (routes and maps available), go canoeing in the Sioule, cool down in the brook beside the mill, ride a horse and make trips to Clermont-Ferrand (a one hour drive), visit Viaduc de Fades (8 minutes) and visit the market of St Gervais d'Auvergne (10 minutes) on a Monday morning. Few tourists have discovered Auvergne, an area known for its sloping green hills, covered with pastures that are separated by bushy fences. 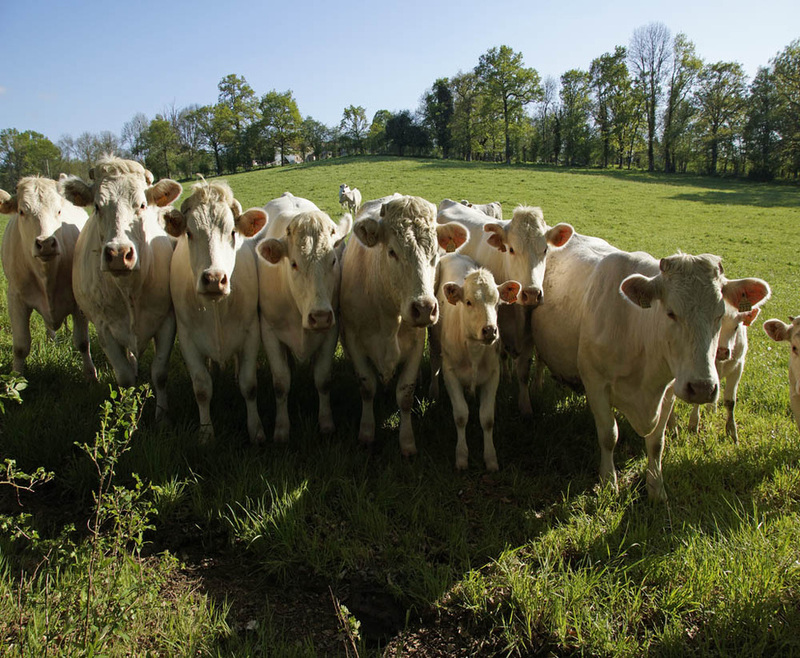 The white Charolais cows stand out and seem to be orchestrated. 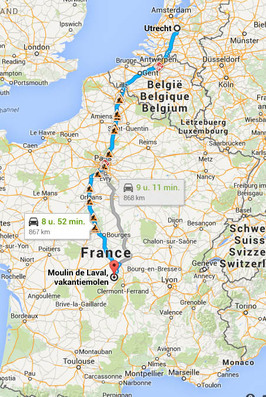 Clermont-Ferrand, the capital, can be reached by car in an hour. It features an authentic old centre and an impressive cathedral. It's black: not of pollution, but because of the lava stone that was used to build it. The well known volcanos Puy de Dôme and the Mont d'Or are close to Clermont. They are worth the climb. Clermont is the home town of Michelin, that offers an adventure centre. 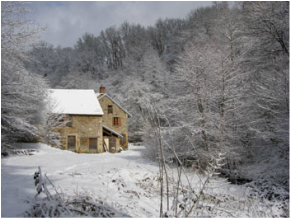 As a guest of Moulin de Laval you will receive, before you leave home, a manual for the mill that contains interesting routes to get there, explanations of the house, tips for the surroundings (trips, food, markets, restaurants, where to find wild mushrooms) and useful addresses. Plus: a list of current flee markets near you. In summer there is one every other day. 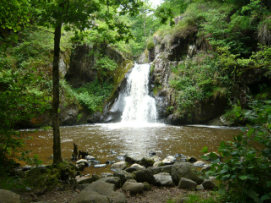 On your way to Clermont-Ferrand you will pass through Châteauneuf-les-Bains and Châtel-Guyon. Both places feature healing sources. Especially Châtel breathes a nostalgic atmosphere, where old ladies and gentlemen stroll in the park, carrying their bottles with precious healing waters. Every sip cures another ailment. A small version of Vichy, that lies 1,5 hour away. 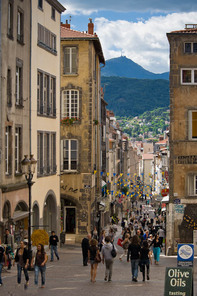 The atmospheric Rue de Grasse in Clermont-Ferrand, the capital of Auvergne. A one hour drive. In case of a heat alarm, ﻿you can also take a dive in the Gour de Tazenat, a volcanic lake (that is not very cold) or cool down in the vaults of Château de Chazeron, one of the many castles in the Auvergne. The house of Moulin de Laval remains a cool place even in summer because of its thick walls..
Click on the map to find Moulin de Laval on Google Maps.